When it comes to Internet speed, every country has a different average. The better the speed, the higher is the expectation. Unfortunately, many times the browser loading speed can be like a stone in the shoe of the user. Remember all the public bashing of Internet Explorer? With the primary reason being the bandwidth, there are a few subsidiary factors affecting your Internet speed, too. You cannot do anything about the former if you do not want to change your Internet plan or provider, but you can definitely tweak the latter a little bit. If you want to maximize your Internet speed, the first thing you have to be aware of is the Internet trolls. They post harmless DIY guide videos, found mainly on YouTube, that tell you how to improve the speed of your Internet connection. If you happen to come by such videos, read the comments thoroughly. It will help you understand whether the person is serious or just a troll. Before addressing the factors affecting your speed, you should first equip yourself with knowledge of the speed and data plan of your system. 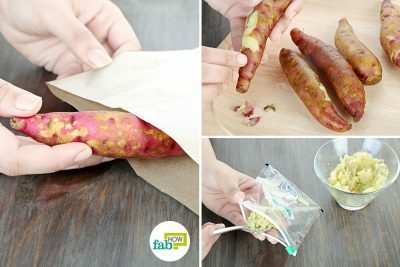 It will help in clearing a lot of issues later on. Different tests will yield different results. Rely on the average. The location and the congestion on the server will determine the speed at any given moment. After you’ve tested your speed and determined an average, check it against your service provider’s advertised speed. Remember, your plan’s stated speed is the best possible speed that you will get in your connection. The trick is understanding the measurement of the speed referenced in the plans. Connection speeds advertised in Internet plans are described in megabits per second (Mbps),and many people mistakenly think it is megabytes per second (MBps). 8 Mbps speed means that your download speed will be 1 megabyte per second. Some external and internal factors affect your internet speed. External factors that you do not control directly can affect your Internet speed. Since these issues are common to all, you can take some consolation in the fact that you are not the only one suffering. Internal factors very well come under the ambit of your control, and you can exert considerable power over these factors. Using your Internet connection on different devices always cuts down the total bandwidth. Apart from that, higher traffic on the Internet during peak usage times adds to your sorrow. Do regular speed tests to identify a pattern related to the traffic congestion and act accordingly. The concept of fast and slow lanes gained momentum due to the Net Neutrality debate. 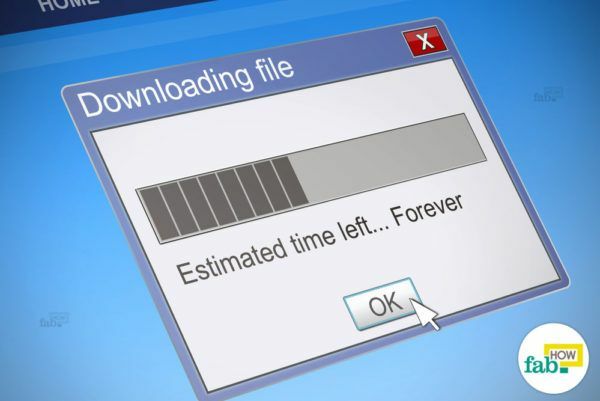 It means that your data transfer can be a lot faster if you are willing to spend extra money. Essentially, you are buying a permit to the congestion-free fast lane on the highway. Remember when Comcast throttled the streaming speed on Netflix as it refused to pay for a faster lane? If you are a European resident, you should be aware of the European Union parliament’s ruling on Oct. 27 last year that allows for fast and slow lanes on the Internet. Check with your Internet service provider for the kind of speed you require or pitch harder against the ruling. When your Internet service provider reduces the package flow rate in your connection to reduce congestion, it is known as throttling. Your Internet plan may have a data cap, which throttles your speed after downloading a certain amount of data. Using a virtual private network (VPN) might help, but it is not the absolute way. The above issue also depends on your service provider. 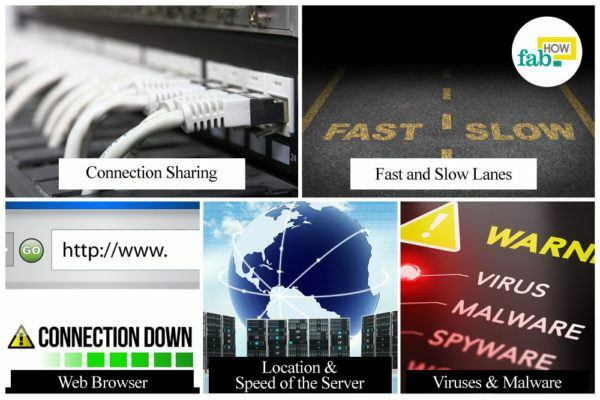 If you are visiting a website whose server is located a tremendous distance from your location, it may affect your speed a little. However, if there is congestion on the server, you will find the speed even slower and you cannot remedy this. Satellite Internet users face problems during extreme weather like heavy rain or snow falls, storms, etc. A latest operating system can support the networking and Internet services protocols of today and will guarantee smooth rendition of the services and a better user experience. Viruses are a threat not only to the well-being of your operating system but also to your privacy protection. Viruses make your private information vulnerable and your system tremendously slow. Malware is the unwanted advertisements or spyware eating into your bandwidth and hampering your privacy, as in the case of a virus. Microsoft dumped Internet Explorer and launched Edge as their flagship web browser to sustain the competition offered by Google Chrome and Mozilla Firefox. A network card also contributes to the speed of the connection. An Ethernet connection will be faster than a wireless connection, hands down. If you have a wireless connection, a wireless AC adapter will get you higher speed. A better network card ensures that the task of sending and receiving signals is carried out with great speed and efficiency. The older these devices get, the slower is the Internet speed. 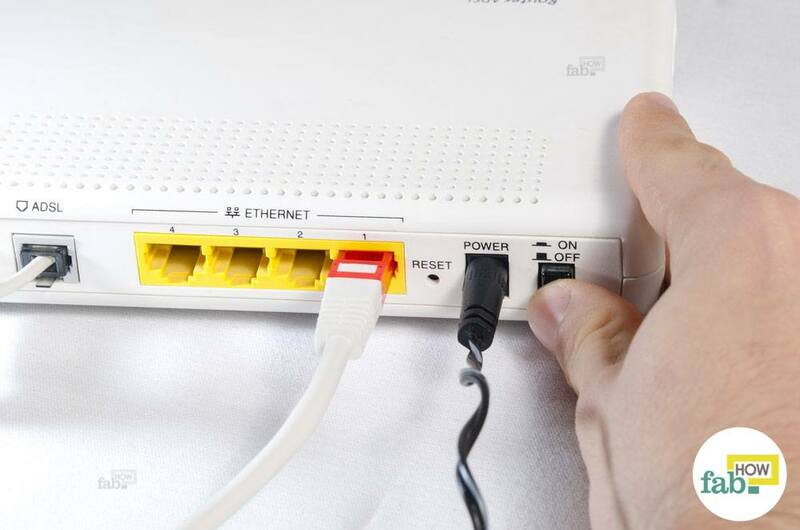 Interference in the router due to a cordless phone, microwave or other electronics is pretty common. These devices interfere with the wireless signal, as they operate on similar frequencies. Understanding the problems is essential to remedying them. 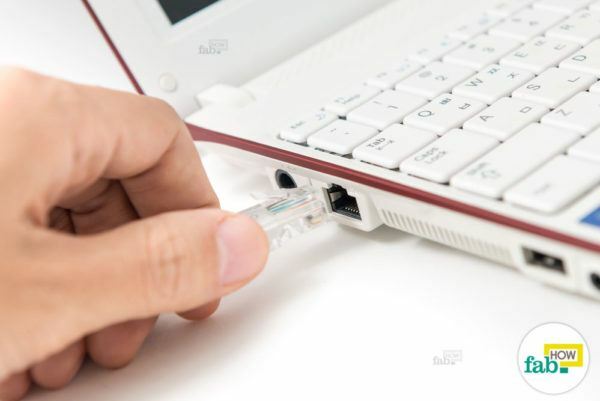 Getting your Internet up to speed involves tweaking a lot of small things, which you can easily manage yourself. A network reset is the primary step. 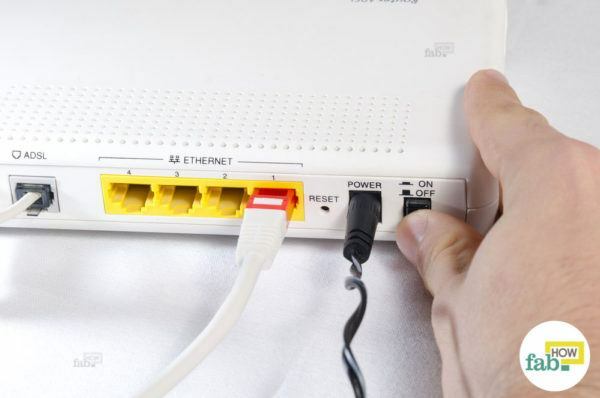 Unplug or switch off your modem or router if your Internet speed is lagging. Wait 20 seconds, then plug it back in or switch on the router or modem. Use an Ethernet connection if you want a faster speed. It will reduce the bandwidth distribution for your wireless devices like phones and tablets. 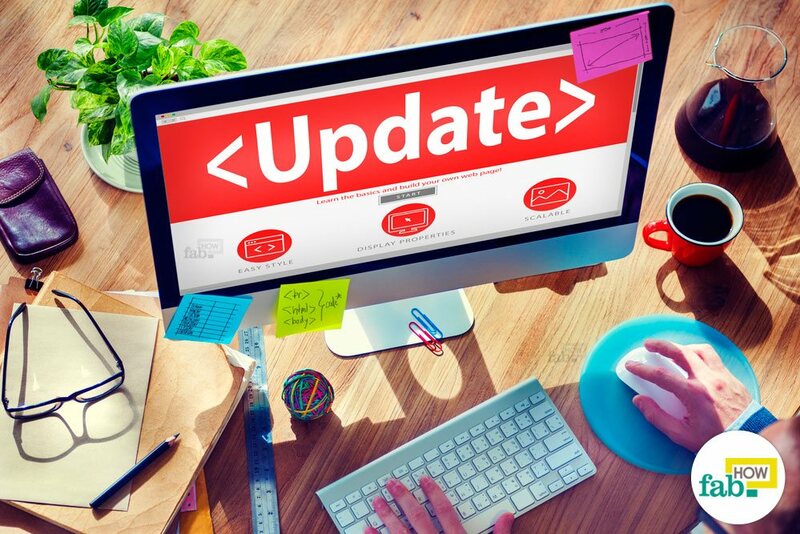 Windows users should upgrade at least to Windows 7 and Mac users to OS X 10.6. After upgrading, you should see a change in your browsing experience. 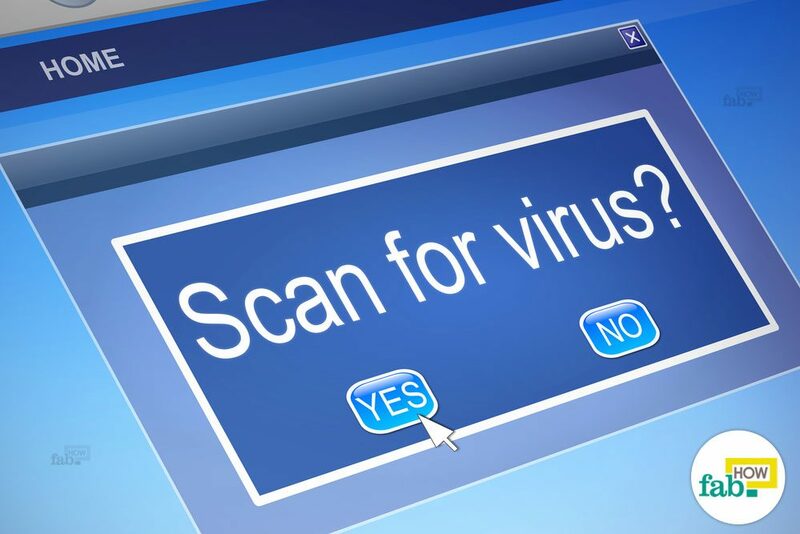 Conducting regular antivirus scans will keep your system running smooth and functioning fluidly. 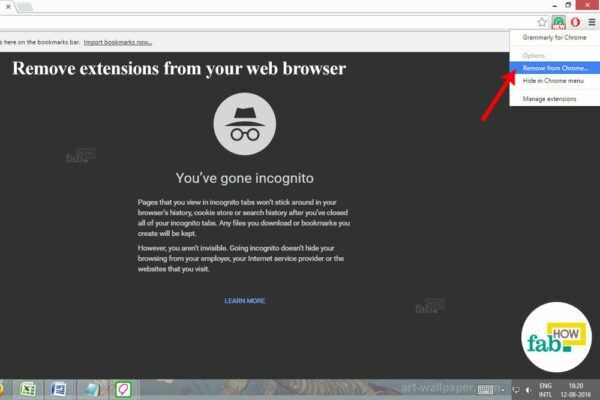 Install separate antimalware programs to save yourself from phishing attacks and adware. Check whether you have reached the data cap (if it exists) of your Internet plan. Because after that, you Internet service provider will throttle your bandwidth. If you have not reached your data cap, contact your Internet service provider and ask for assistance. You can open your router or modem's web interface and check all the connections on your network. You can request them to stop any HD streaming or heavy downloading. If you find an unknown connection, then block it temporarily. 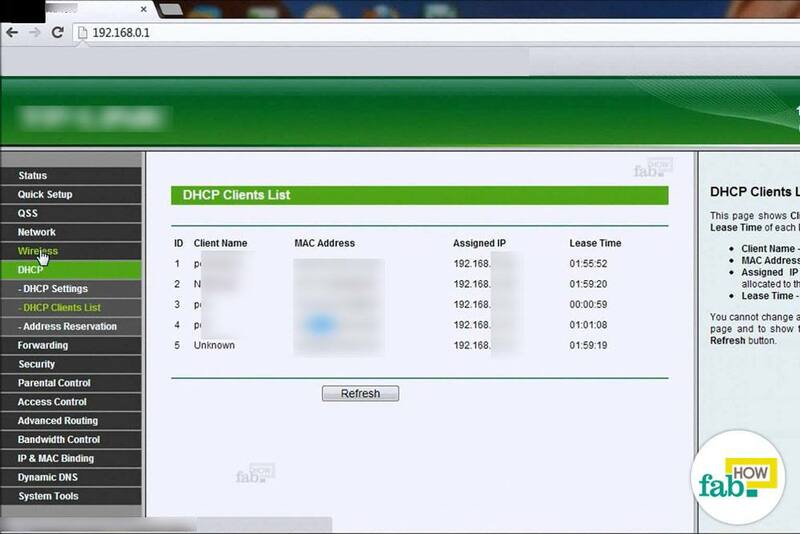 You can pretty much decide who can access the internet from your modem if you know the MAC address of your devices. So, if you find an unknown MAC address, then block it temporarily. 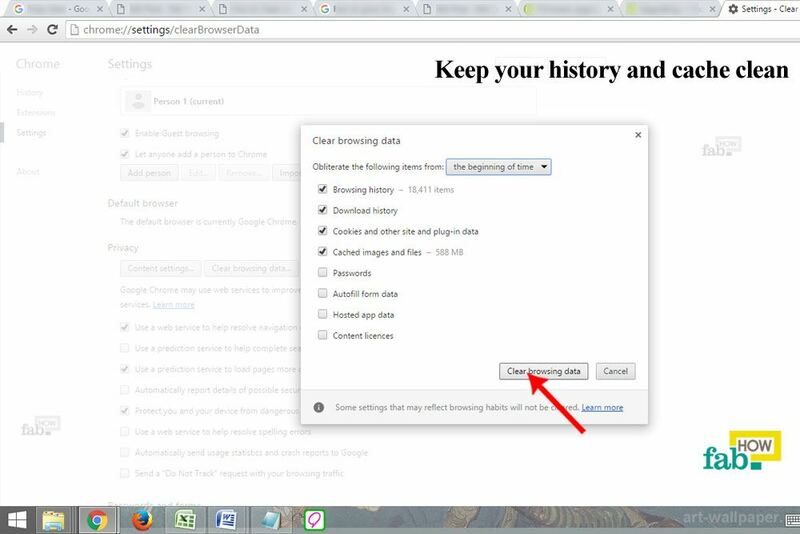 Remove any unnecessary extensions from your web browser, as well as the excessive toolbars. 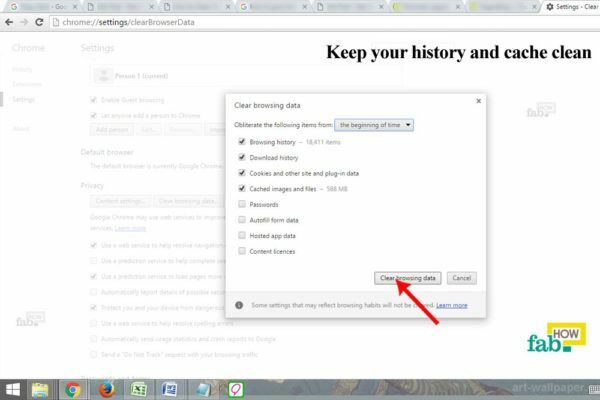 Keep your history and cache clean, as they increase the load on the web browser. 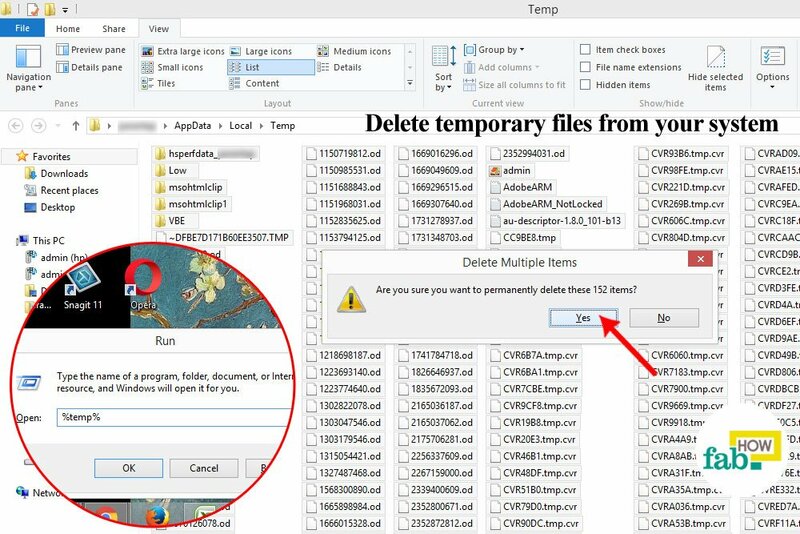 Delete temporary files from your system. Press "Windows logo key+R" and type "%temp%". A window will open. Delete everything that you can from that window. Keep your hard disk clean and uncluttered. A clean hard disk functions smoothly and allows other applications to do the same. 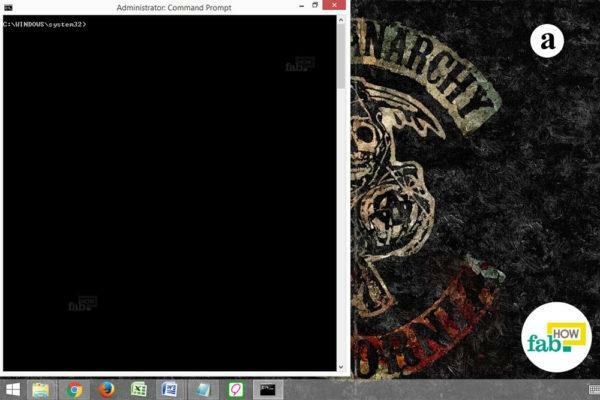 Open the Command Prompt in admin mode from the menu. In the black screen, type "netstat -b 5 > activity.txt" and hit the Enter button on your keyboard. A list of all the programs using the Internet will be scanned. If you look at the screen it would appear as if nothing is happening. Press “Ctrl+C” after a while to end the scan and create a file of that list. Next, type "activity.txt" and hit Enter. 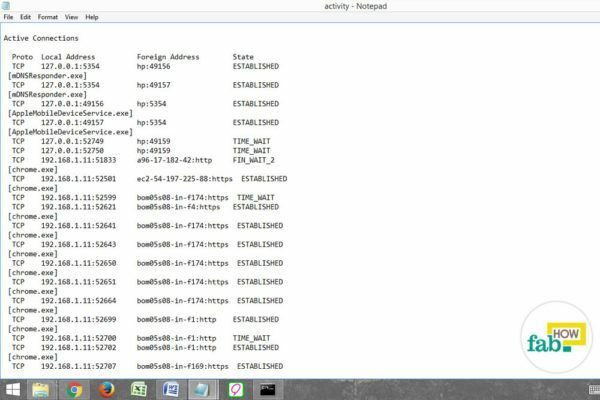 It will open the file containing that list. Remove any unwanted process from Task Manager. 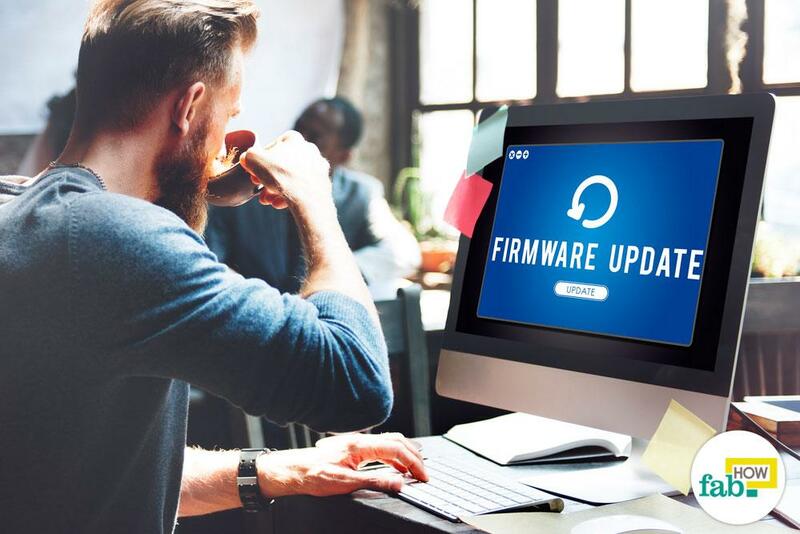 Upgrade the firmware of your router by visiting the manufacturer's website. 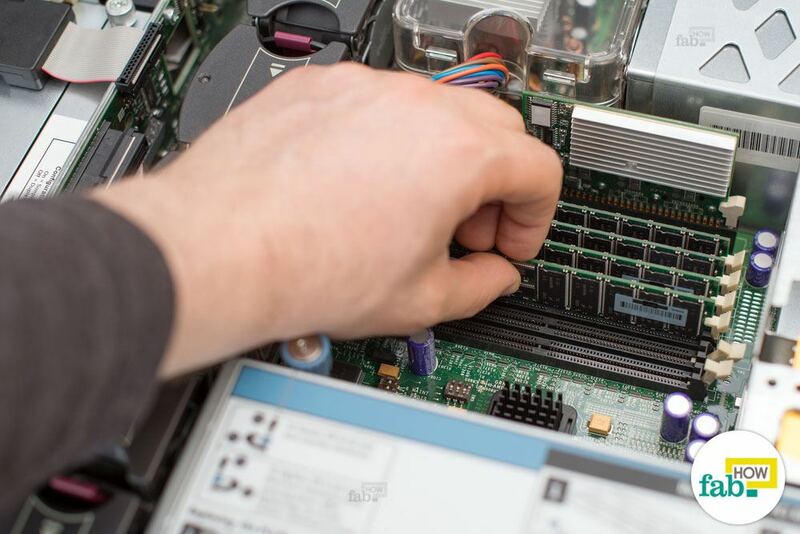 Improving your system’s hardware like the RAM or router helps increase the speed of your Internet connection.